VMEbus TS68483 Color Graphics Module. 2048x2048 pixels, 4.19M Colors, 2 Serial ports. The CM-VID-30 is color graphics module based on the AGAC (Advanced Graphic and Alphanumeruc Controller) TS-68483, incorporating features demanded in military & industrial applications. 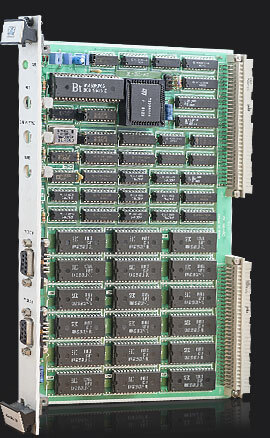 CM-VID-30 is populated with eighteen 32 pin SRAM sockets, which provide up to 4.6 Mbytes of installed graphic SRAM. This module allows operations with two independent graphic banks, each one provided with a frame buffer of up to 2048x2048 pixels and four color planes. The color palette offers 8 bit resolution and provides up to 4.19 million different colors. The BT-453 output video levels accords with the RS-343 A specifications. The CM-VID-30 offer three output video connectors. Three coaxial and one cannon 9 pin connector are used to output analog video, one cannon 9 pin connector is dedicated to TTL RGBI output. 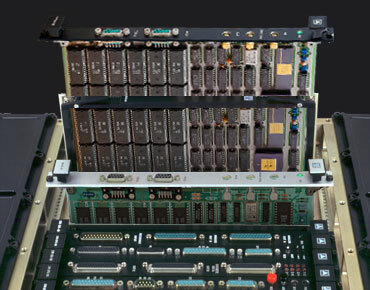 Graphics Processor: The board offers a TS-68483 device that has 24 16bit internal registers and requires only +5V for its on-board erase or programming. Capacity: Up to 4.6MB in steps of 256K. 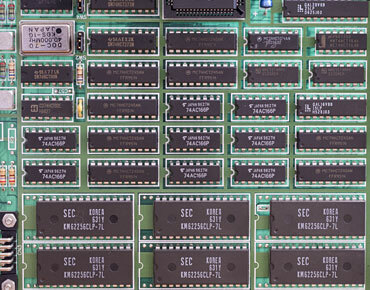 The board may incorporate 18 independent memory banks of 256K - 32 bit wide. 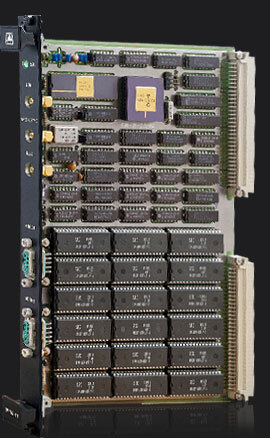 SRAM Memory: The CM-VID-30/S allows 32k, 128k, or 256k memory modules, rated from 35 to 12 ns of access time. Color Palette: The module is provided with a BT-453 analog color palette, delivering 4.19 million colors in accordance with RS-343 A specifications. Frame Buffer: Four 2048x2048 pixel planes in bank 1 & 2. One pixel plane in bank 3. Display Pixels: Ouput display of 1024x1024 pixels, 40/36 MHz pixel frequency. Display Ouputs: Three coaxial & one cannon 9 pin connector are used to output analog video, one cannon 9 pin connector is dedicated to TTL RGBI output. VME Access Time: The board responds to VMEbus data transfers in 100 ns (0 wait state). VME Decoder: Allows to map the board in the VME range in a flexible manner. There are 128 positions, 32 MB size each. VMEbus Interface: According the IEEE 1014 rev. C. The board responds to VMEbus Extended transfers type A32/D32/D16/D8(EO). Front panel LED: 1 LED that indicates when module is active. Power consumption: +5VDC @ 800 mA (3 Watts). Weight (grams): C & I ver. : 405gr. | R+ & 883 ver. : 510gr. Mechanical size: Single slot 6U (233x160 mm). CM-VID-30/A: IEC-297 mechanics for 19 inch racks with I/O on front panel. CM-VID-30/B: Military IEEE P1101 wedgelock mechanics for ATR enclosures. Eighteen on board 32 pin SRAM sockets. Based on the AGAC (Advanced Graphic and Alphanumeric Controller) TS-68483. Up to 4.6 Mbytes SRAM frame buffer. High screen resolution of 1024x1024 pixels. On-board programming with +5VDC only. Analog color palette of 4.19 million colors. Nine planes of 2048 x 2048 pixels. TTL RGBI and analog RS-343A outputs. 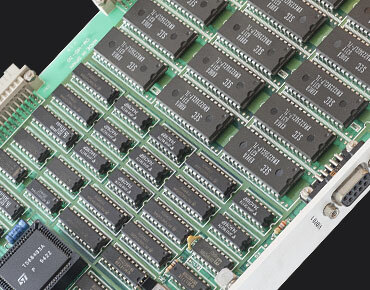 Supports 32K, 128K and 256K SRAM memory chips. Supports 720x512px, 900x512px, 800x640px, 1024x720px, 920x800px, 1024x1024px resolution. Module assert DTRACK* in 300ns. Front Panel VMEbus master access led indicator. Commercial, Industrial, Rugged & 883 versions. IEC-297 mechanics with I/O via front panel and military P1101.2 wedge-lock mechanics. 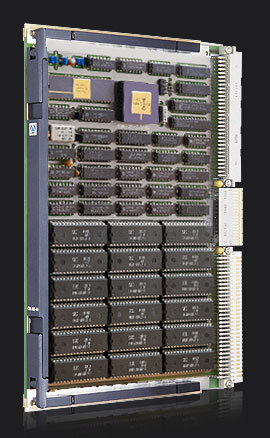 S1: Eighteen 32kx8 SRAM modules - 1024x1024 pixels. S2: Eighteen 128kx8 SRAM modules - 2048x1024 pixels. S3: Eighteen 256kx8 SRAM modules - 2048x2048 pixels. 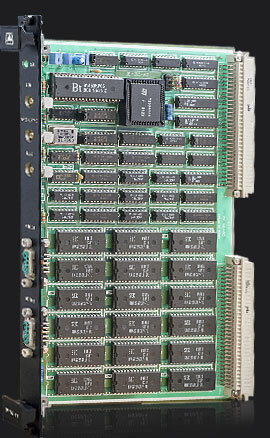 - Graphics board with eighteen 256kx8 SRAM modules. LEVEL 1, CM-VID-30 MAP: User´s manual. Module hardware functional description oriented toward software development. LEVEL 2, CM-VID-30 MMT: Maintenance manual with BIT scope, test point wave forms. logic analyzerdiagrams, etc. LEVEL 3, CM-VID-30 NAT: Maintenance manual according to NATO forces. Includes the above manuals plus mechanical & electrical schematics, NATO list part number, extended functional description, maintenance & calibration procedures for in-service equipment. Wind River Systems VxWorks Tornado: The CM-VID-30 is supported by VxWorks Tornado & is ideal for developing real time software under UNIX environments. A complete "C" language driver in source code is available at low cost. Drivers include a floppy-disk & user's manual.